Dr. Eren Taskin is a graduate of Uskudar American Academy and completed his medical education at Istanbul Bilim University Medical Faculty in 2008. He finished General Surgery residency at Istanbul University Cerrahpasa Medical Faculty in 2014. 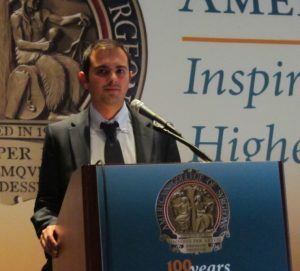 During his senior residency years he worked as a research fellow in Department of Endocrine Surgery at the Cleveland Clinic, Ohio USA from 2012-2013 mentored by Dr. Eren Berber. He published 3 book chapters and 20 peer-reviewed International publications during this period.